Q. Can I write or highlight in library books? 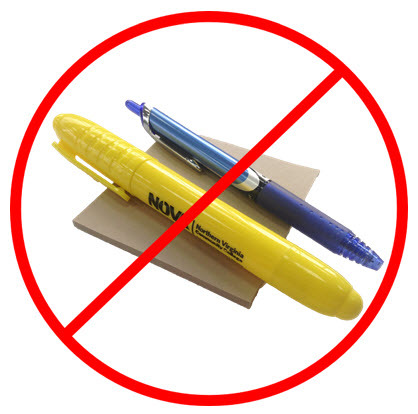 Highlighting, writing, and/or use of sticky notes is NOT permitted in library materials as they damage books and can be a distraction to other users.